Severna Park's 2013 small forward Hannah Carroll took a few minutes out of her busy schedule to answer a few questions for 695Hoops. 695: How did you start playing basketball and how old were you? Hannah: I started playing in the local club teams league, Severna Park Recreation, at age 9. 695: Have you played other sports? Hannah: Yes, I played lacrosse from age 11 through 15. I played JV at Severna Park high as a freshman. Hannah: I have always lived in Severna Park. 695: What other hobbies do you have besides playing basketball? Hannah: I enjoy boating, hanging out with my friends and watching movies. Hannah: I want to add a more versatile aspect to my game. I want to be able to take people inside and surprise them with a side of my game they wouldn't be expecting. Hannah: I have played for Hoopsmart and the Maryland Hurricanes. Hannah: There are too many to choose from. I remember once getting so lost we ended up on a two hour detour where my dad was tortured by being the only guy in the car. 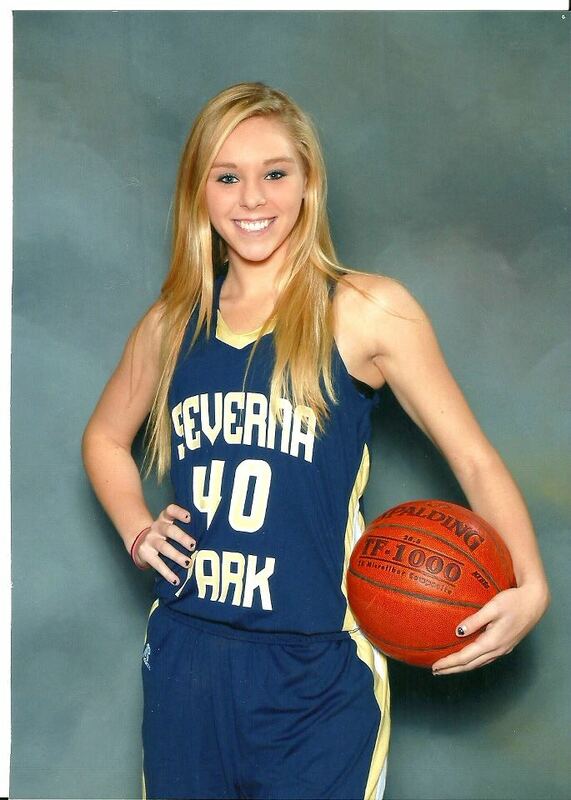 Hannah: My main goal is to lead Severna Park to a winning season. I'm also looking forward to playing with my sister who is a varsity freshman this year. Hannah: I am most comfortable playing the 3 position. 695: What type of music do you have on you iPod? Hannah: I have many different types of music on my iPod. I don't think I could live without different types of music. Each genre is for a different mood or occasion. Hannah: My favorite player is Candice Parker. She plays with such high intensity and is always ready to play. 695: Thanks and good luck this season. Hannah: Thanks. I appreciate the opportunity to share a little of my background.